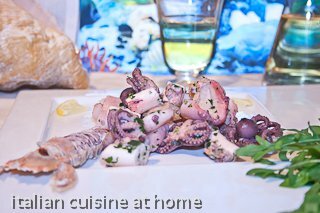 Notes to the recipe: Italian seafood salad is very easy to cook at home, you must only pay attention to cooking fishes separated, respecting the different cooking times. The result is a tasty and perfumed dish. It can be served either tepid or cold. 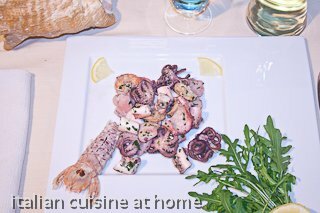 It is a very popular Italian starter and cold dish for the summer.